View cart “Piano Salon – Basic” has been added to your cart. The Premium Piano Salon is a unique intimate gathering for yourself and up to 7 additional guests at my home studio. 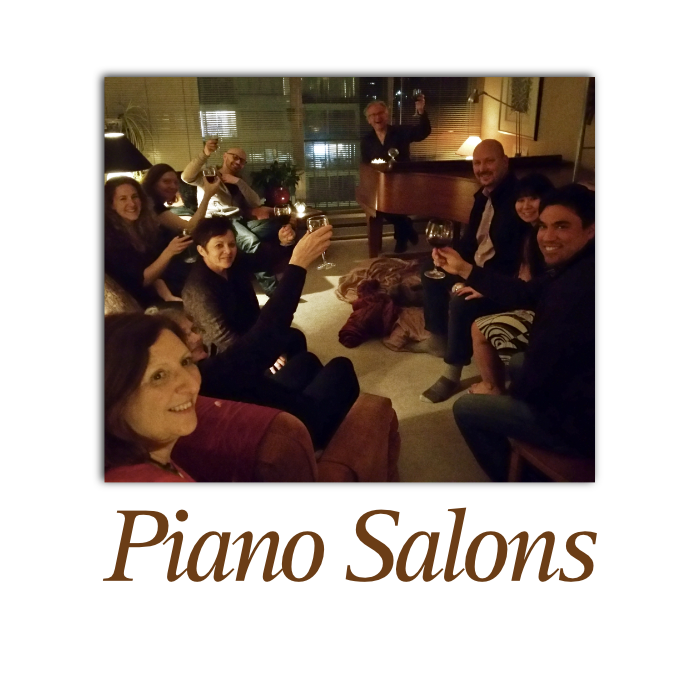 This Piano Salon also includes a custom recording of the event’s music which will be sent to each of your guests. About the Premium Piano Salon. First of all, your guests share about ideas and stories to inspire spontaneous piano improvisations. In addition, guests get to lie under the piano. The duration of the salon is 3 to 4 hours. During the event, I serve tea, coffee and water. If desired, you are welcome to bring other beverages and snacks. Check out the Basic version of the salon. What a fabulous night of improvised music by Craig Addy of Under the Piano. Craig has an unmatched ability to take our ideas (setting sun, midnight sail, lovers’ journey, spring day) and improvise music to match. What a great way to spend Easter Saturday. Looking forward to next time!